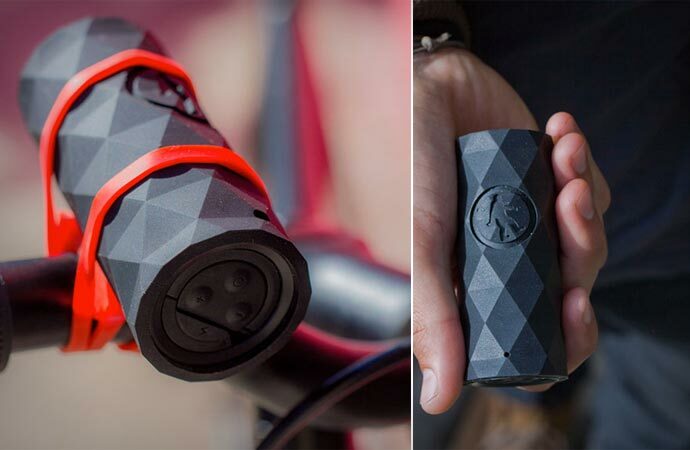 Want a unique bike speaker which lets music follow you wherever you go while at the same time allowing you to take hands-free calls on your outdoor adventures? 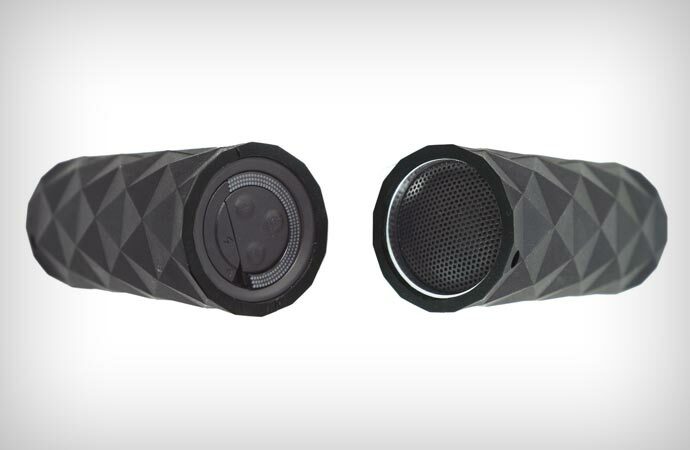 Well, Buckshot gives you all that – the compact, portable, originally designed and multifunctional wireless speaker by Outdoor Tech® will certainly live up to all your expectations in terms of speaker and speakerphone functionality. Built with the outdoorsman needs in mind, Buckshot’s black rugged, rubberized exterior ensures shock-resistant and dust-proof nutshell for the built-in speakerphone and microphone which allow you to take hands-free calls and keep your music playing while biking around. Plus, its IPX5 water-resistance rating means that it will put up with occasional splashes so you need not worry about either dropping it on the ground or getting water on it from time to time. 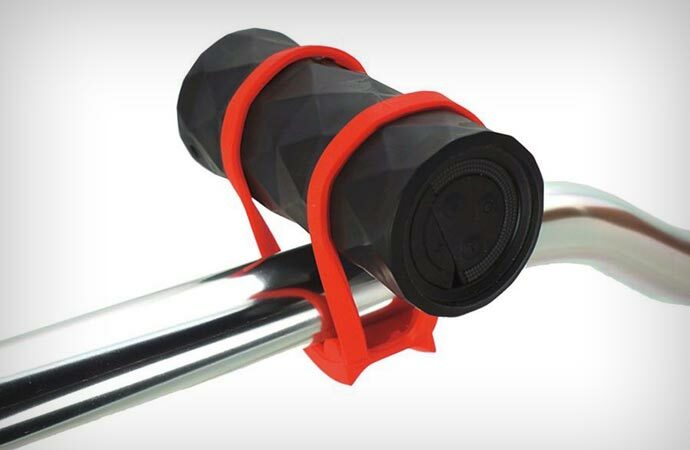 The Buckshot bicycle speaker provides quick wireless pairing to your tablet, phone, laptop or any other Bluetooth-enabled device to produce high-quality audio for a range of up to 32 feet from the source device and its volume is loud enough to push back the traffic noise and let you enjoy your favorite playlist as you roam the outdoors. 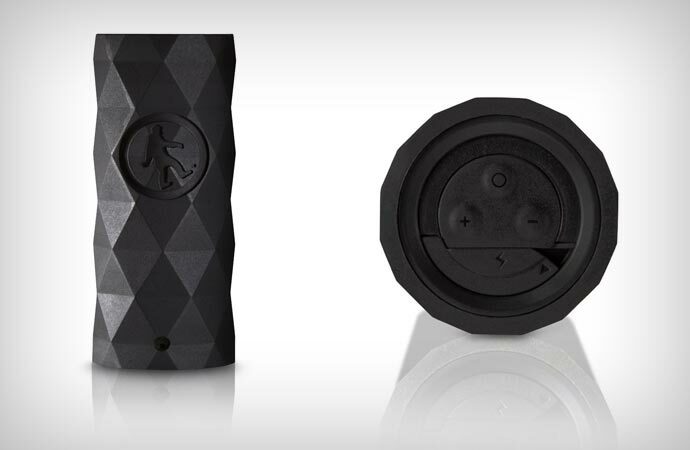 The speaker’s rechargeable lithium-ion battery allows for 16 hours of playback or talk time on a single charge, and you can easily juice it up using the included USB charging cable. In the package the manufacturer also included a heavy duty multipurpose rubber mount which lets you fix the speaker tightly to your bicycle, tricycle, moped, golf cart, baby or doggie stroller, backpack straps, hang glider or any other mount of the kind. 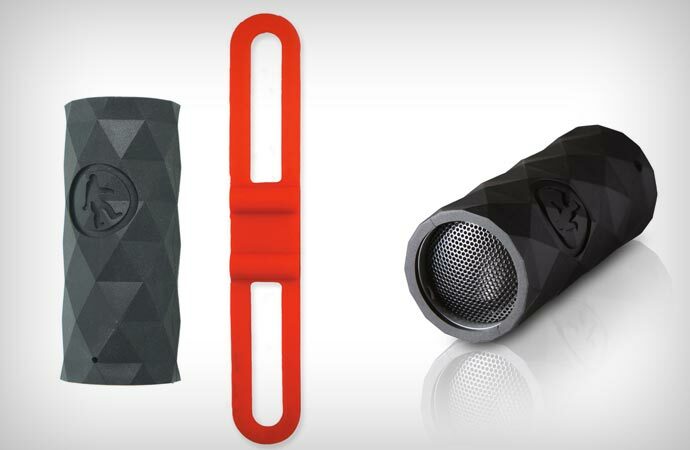 So, in case you’re not a fan of silent recreation and need your music and calls ready at hand, Buckshot will be a perfect addition to your outdoor activity gear.